I have known Deanna and Chris for over a decade. Chris was my first tattoo artist, and I was his first public client. In college I started helping pout at the shop that he worked at and became friends with him and the others that worked at the shop. A year or two later, Deanna started her piercing apprenticeship at the shop and since she attended the same university that I did, we also became friends. Over the years I have created some amazing stories with these two. 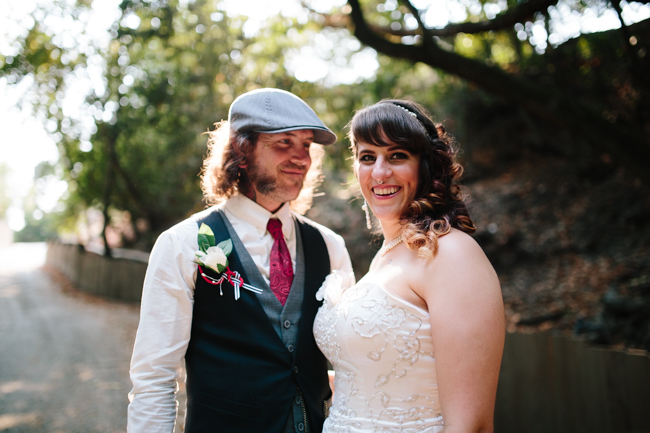 Chris and Deanna got married at Deer Crossing Inn, which is located in Castro Valley California. We all spent three days hanging out, and getting ready for the wedding day. This was a great time because all of us pitched in and worked on food and decorations. 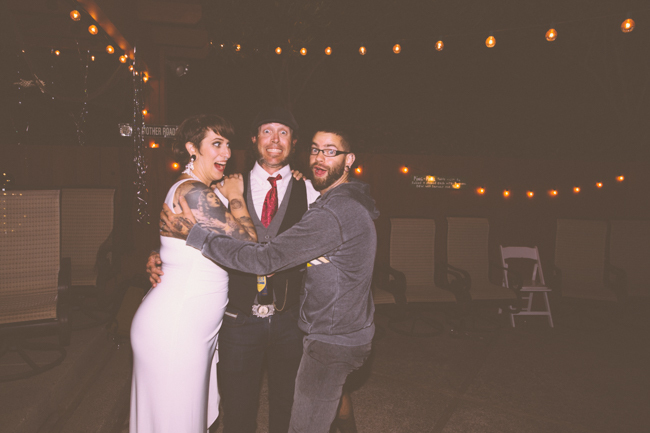 instead of a DIY wedding it turned into DIWF (Do It With Friends) wedding. Deanna and Chris are definitely creatives. There were so many incredible detail shots to get. As someone who has a decent amount of tattoos, I love when my couples have them and want to show them off. Not only are they a part of who you are, but they tell a story. Brides always have an choice of wether to hide them or not. 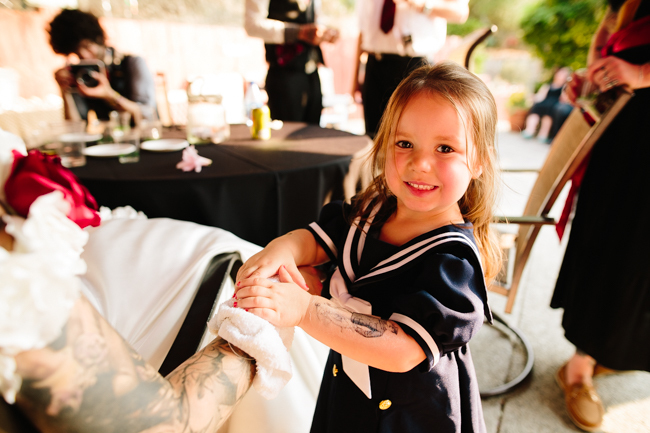 But with Deanna's tattoos, this would have been a little harder. I love it. When it comes to photos, both Deanna and Chris are professionals. They could probably even make some side cash on their weekends modeling. Well, that is if they could find time between being business owners, tattoo artists, and the other 50 different projects that they work on as well. 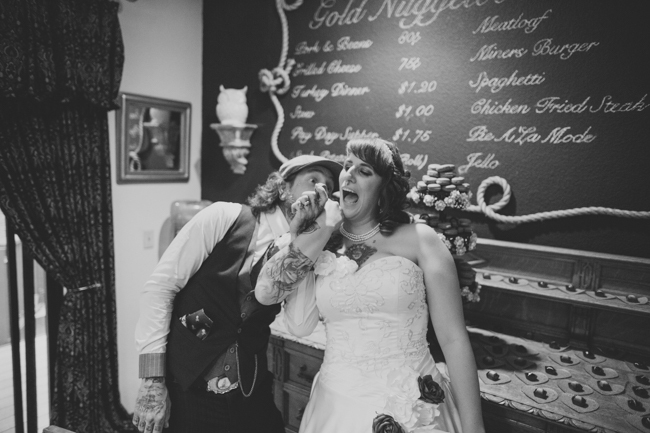 The best part about their wedding attire is that most of it was custom made. Check it out. One part that was pretty awesome was Deanna wanted to recreate a photo from her childhood. She had a friend recreate the sweater so they could recreate the photo. The wedding itself was short and sweet. Cash, the dog, escorted Chris and Mez (the officiant and one amazing tattoo artist) down the aisle, where Chris and Deanna where married under a ships mast. 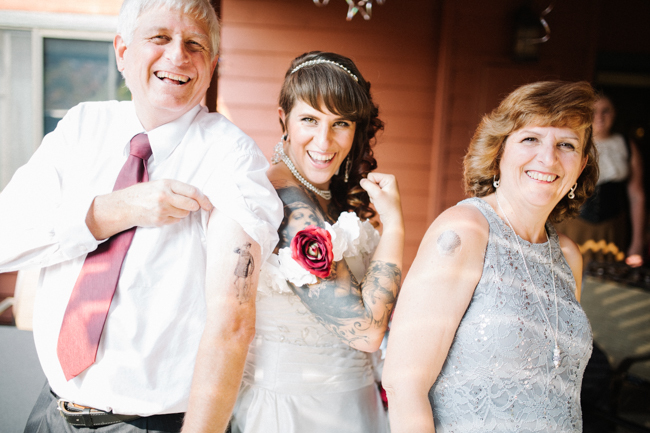 Following the ceremony, Deanna "tattooed" her parents for the first time, and was later joined by an aspiring tattoo artist. (I even received one on my neck from her). After the first dances, Chris and Deanna walked the plank to a drumroll and were joined by several family and friends in the pool where we were created some rad photos with the smoke machine. 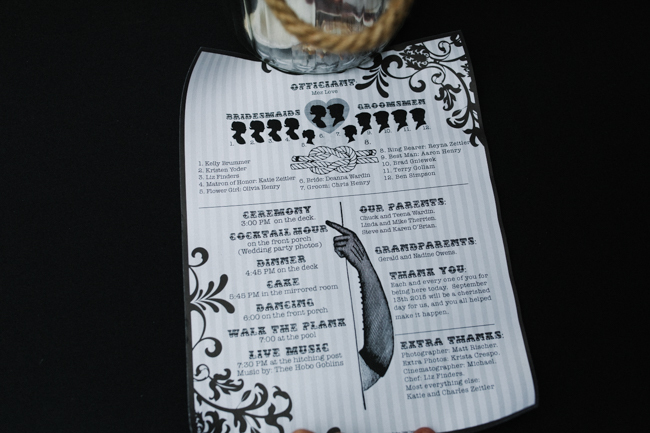 By far this was one of my favorite weddings, not only because of the theme and details, but because I was able to be a part of two of my best friend's wedding. I was able to hang out with some of the best people that I know and spend several days helping create an unforgettable experience.